It’s #FlashbackFriday again and we found an amazing piece of Santa Claus Land history to share with you. This is the “Chrysler TV Caravan,” with a commercial touting their 1955 “hundred-million-dollar gift” – a new Chrysler! 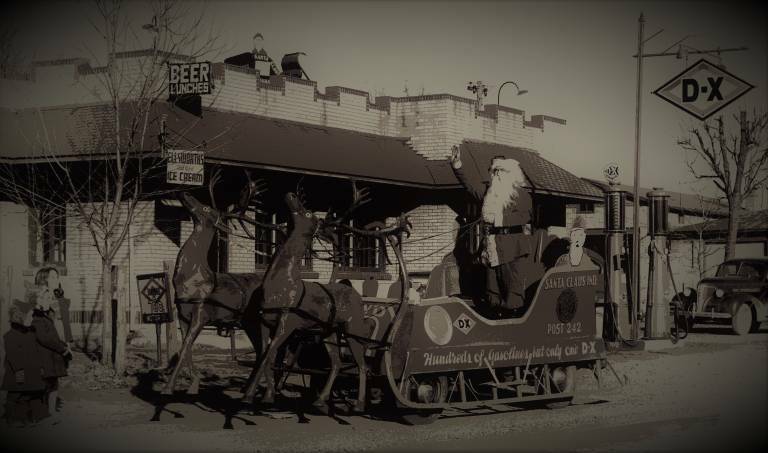 In this photo, Santa and his sleigh are in front of his family’s Chateau restaurant in nearby Mariah Hill. A more modern version is still there. Do you enjoy seeing these flashbacks from our archives? What else would you like to see? Be sure and post your ideas below.